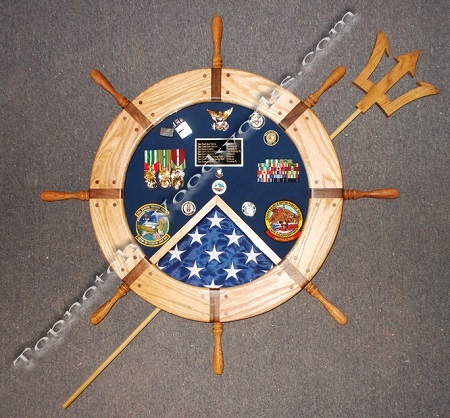 Are you a Shellback? 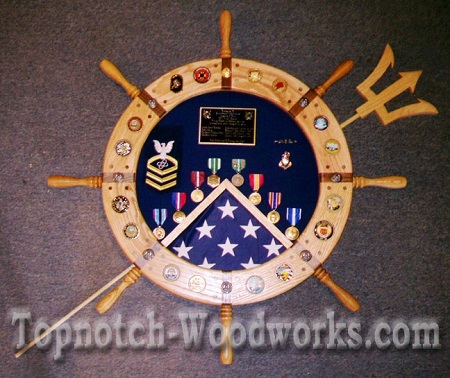 This is the shadow box for you featuring Neptune's trident. 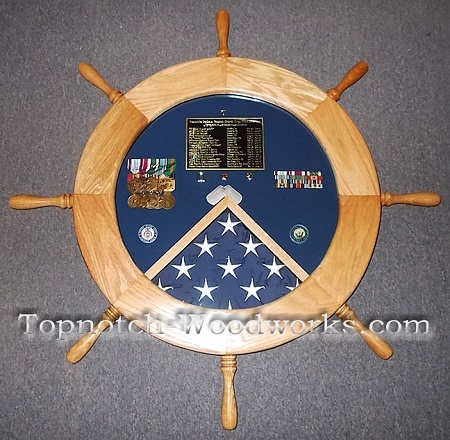 King Neptune's Shadow Box from Topnotch Woodworks is the perfect shadow box for every accomplished career Sailor or Guardsman! 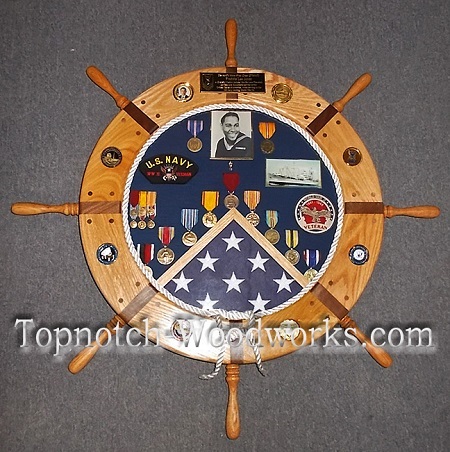 This handsome retirement flag and shadow box is handcrafted in the shape of a Ship Wheel, right here in the USA by a former 20 year USAF Veteran. 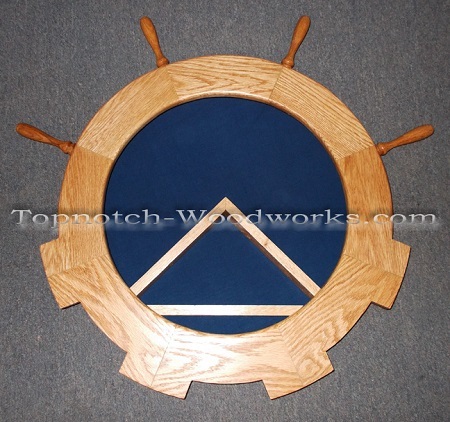 Built in SOLID Red Oak and Walnut it is finished natural to highlight the Walnut inlays. 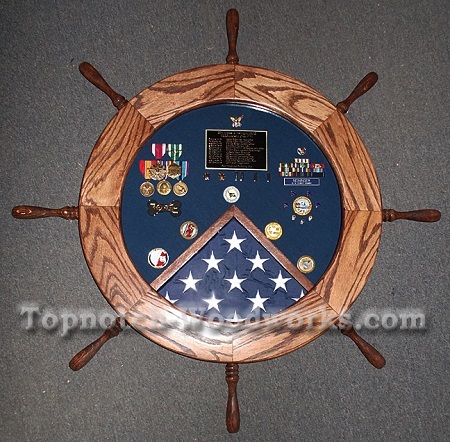 The Ship Wheel Shadow Box holds a 3' X 5' American flag or a military flag. 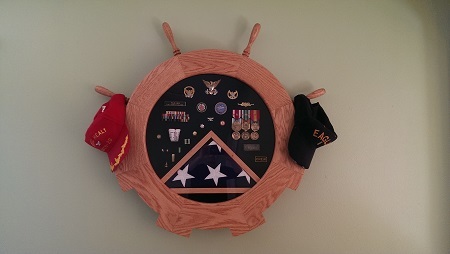 Ken, The shadow box was truly beautiful and people at the retirement ceremony just couldn’t stop talking about it, mouths dropped open when it was presented…. 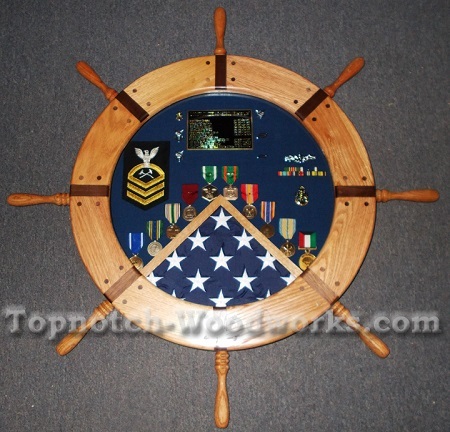 :) Thank you so much for an incredible product and fine custom woodwork. Excellent work!